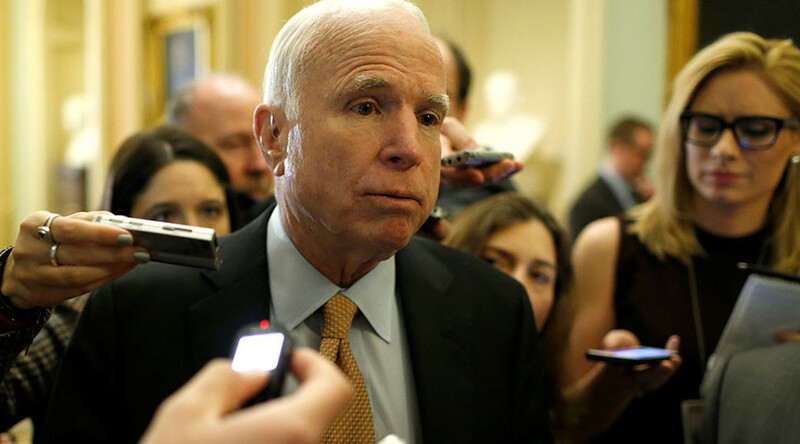 “I hate the press,” the Arizona senator told presenter Chuck Todd on NBC’s Meet the Press. “But the fact is we need you. We need a free press. We must have it. It's vital." “If you want to preserve democracy as we known it, you have to have a free, and at times adversarial free press,” he added. "And without it, I am afraid that we would lose so much of our individual liberties over time. That's how dictators get started." Todd asked McCain whether dictators get started by sending tweets like the ones Trump sends attacking the press. “No, they get started by suppressing the press,” he replied. @FoxNews@AlyssaMadruga John McCain understands real American values. A true American patriot who has served his country. McCain’s comments have ignited a twitterstorm as people from both sides of the debate took to social media to both attack and defend McCain. Time for @SenJohnMcCain to change parties. McCain’s statements have caused a lot of anger online. Many people felt the senator was not in a position to criticize, given his support for Trump in the presidential election. @AP_Politics@AP then McCain should stop voting in favor of everything Trump wants. Otherwise his words are just hot air. To many, McCain’s statements rang true, as people agreed that attacking the press is a typical move employed by dictators. @thehill McCain has been around long enough to have seen a few dictators get started. Guess he recognizes Trump for what he is!